For some people holidays are all about rest and relaxation. And for others, well, a holiday is a time to down six kamikazes (er, drink responsibly folks), roll yourself in glitter and throw yourself into a writhing crowd of skimpily dressed revellers to dance your heart out until the sun is high in the sky. But, just because you’re having such a good time that you’ve forgotten your own name does not mean that you can ignore the cost of all this merrymaking. A killer hangover and a flashing crimson bank balance is not a nice holiday memento. Don’t worry fun-loving party people, we’ve done the horrible hard work for you. We’ve checked out the costs of Europe’s best clubbing holiday destinations and ordered them by expense – from “you’ll need to take out a mortgage to go there” to “woop, night out for a tenner” – so now you can pick your beach-front party central and be sure (well, ish) that you can afford the final bar tab too. 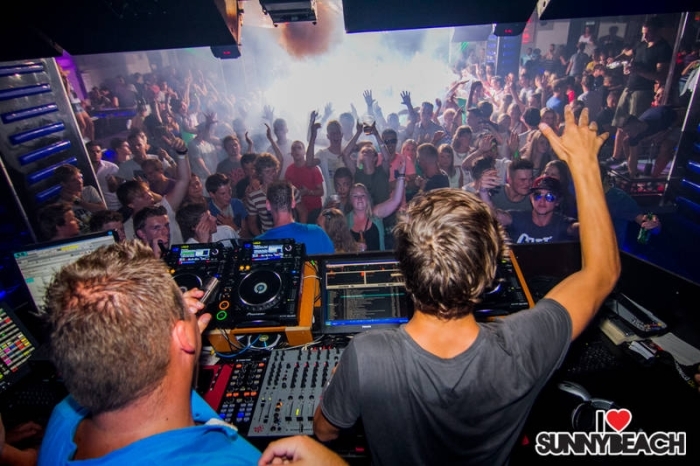 The outright winner of any fight between the world’s top clubbing destinations has to be Ibiza. For sheer quantity and quality of legendary super-clubs it’s in a heavyweight league all of its own. The list of can’t miss parties goes on and on – Hed Kandi at Es Paradis, Cream at Amnesia, F*** Me I’m Famous at Pacha, Carl Cox at Space – they all live up to the hype. Plus there’s indie legends popping by the Ibiza Rocks hotel, sunset beach parties at Bora Bora, daytime poolside dancing at newcomer Ushuaïa and underground raves at DC-10. Phew! You’re not going to get a moment to sleep. There’s no way round this. Ibiza is pricey – so raid your savings before you step on the plane. Club entrance on the big nights can set you back as much as €80 – book in advance to get any savings on offer. The drinks in the super-clubs are pretty astronomical too. Don’t be shocked if you pay €18 for a vodka and mixer. However, if you go out in San Antonio and you’ll practically be dragged into bars with promises of free shots and two-for-one cocktails. While you’ll find parties on plenty of Greek islands, Mykonos has dedicated itself to having a good time. From its roots as a hippy hangout back in the 60s and 70s, Mykonos today attracts some of the world’s top DJs to open-air Cavo Paradiso and the Paradise Club. Plus there are raucous beach parties at Super Paradise and Paraga and in the evenings (and through the early hours) the pretty whitewashed alleys of Mykonos town simply teem with bars and merrymaking folk. Mykonos is also known for its lively gay party scene; there are plenty of bars in Mykonos Town, and pool parties at Jackie O’s with a gorgeous view of Super Paradise beach. Mykonos draws the international jet set and partying crowd, so expect to pay more than you would elsewhere in Greece. 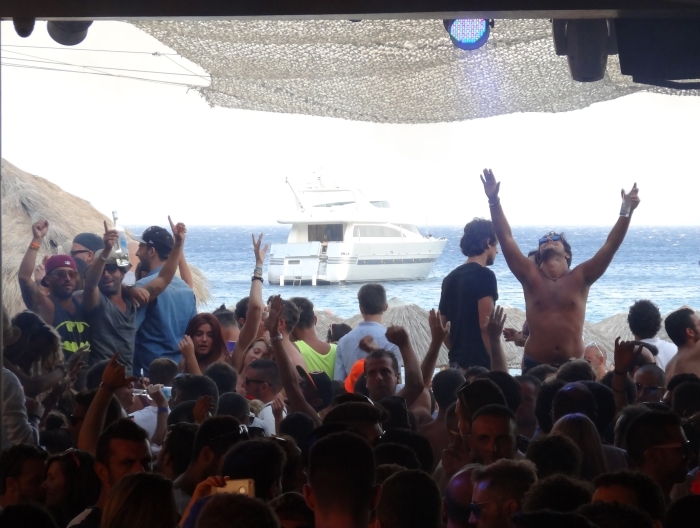 It costs €30+ to get into the big nights at Cavo Paradiso and Paradise; drinks inside will cost €10 – €15. The beach parties are considerably cheaper – free to attend, and drinks are generally more reasonably priced. What do the Italians do in the summer time when they need to let off steam? Why they head to the coast to party into the wee hours. Of course. And the number one destination for the bright, young, Italian things is Rimini. The 15 kilometres of beaches is an obvious draw. But come evening the relaxed sunbathing crowds don their designer gear in time to parade themselves along the beach. You’ll find plenty of lively bars in Rimini but for the real parties head to Riccione, about 15 minutes down the coast. Here you’ll find all the heaving beach clubs you could possibly want playing all varieties of music available, plus exclusive multi-level venues like Byblos and Paradiso. To see the beautiful people head to trendy club and restaurant Pascia in the hills above Rimini. It’s possible to keep this very glam destination very cheap. Entrance to the all-night beach clubs is free, cocktails will set you back around €8. However if you want to strut your stuff in the swanky clubs Rimini will get expensive fast. Those clubs are prestigious for a reason folks. There’s not one nightlife spot in Croatia, but every summer a riot of festivals kick off along the coast – all offering a mix of late-night revelry, crystal clear waters and sun-filled days. One of the pioneers was The Garden Festival, which serves two weekends full of disco and funk, in it’s 9th year in 2014. You could also party in a disused fort in Pula for Outlook Festival, or join the chic crowds at Hideout which takes over the party island of Pag. Even if you don’t catch a festival you can still down mojitos at a club set on a private island; the luxurious Carpe Diem in Hvar or dance ’til the dawn rolls in at Pag, which attracts the big name DJs and weekend clubbing commuters from capital Zagreb. Varies. Expect to pay a lot less than you would for a festival in the UK though (Early bird tickets for The Garden Festival are from around £100) – and you get free sunshine into the bargain – Glastonbury wishes it could guarantee that! Drink is cheap in Croatia; the average cost of a pint should be around €1.90 – BUT expect prices to be inflated for festivals and in the busy tourist resorts. Ayia Napa in Cyprus first became known as THE destination for UK Garage – though these days the music scene is a lot more varied with plenty of Dubstep, Drum and Bass, UK Grime and House to go round. The biggest venue in town is the Castle Club – which has been hosting parties since 1988. Inside the fantasy castle façade the three floors are transformed each year to keep the 3000 capacity crowds coming back for more. Elsewhere Club Ice is known for the ‘Twice as Nice’ nights and massive foam parties, and Black n White Club is an RnB favourite and regularly hosts events for BBC 1XTRA and Kiss100 London. A night out in the big clubs will cost about €15 – €20 to get in – although there’s often a free drink included in that. Drinks inside are about €8. You can get far cheaper drinks if you go out for a few around The Square first, you’ll find plenty of BOGOF offers and club promoters trying to get you inside their bar. And the surrounding streets are even cheaper! Home to the biggest club complex in Europe, the legendary BCM Planet Dance, Magaluf holidays promise a darned good time. BCM pops up on rankings of the world’s top clubs about as regularly as the likes of Calvin Harris pop up at the decks (that’s weekly, by the way). You’ll get an Ibiza-esque experience for about half the cost, and with far less posing. Plus there’s an exciting schedule of themed nights. Dress up for UV nights and masqurade parties, or head downstairs to the Washing Machine parties at Millennium – that’s a foam party where you get rinsed clean with water, and uh, repeat. Though if you expect to go home squeaky clean you’re on the wrong holiday here! You’ll also want to check out the wild nights at Boomerang, Banana’s and Tokio Joe’s, all located on Magaluf’s main strip. It’s €25 – €30 to get into BCM. The strip’s reputation as the place to get cheap drinks is well founded. Head here to be bombarded with offers for cheap beer, free shots and bowls of cocktails. The party is out on the Bar Streets in Kavos, which means it is possible to have a very cheap night out if you take all those reps up on the cheap drink offers. If you want to focus on your dancing then get yourself into Future & Atlantis which holds the biggest events by the likes of Trinity and Hed Kandi. Plus there are huge foam parties and paint fights on some nights. Rolling Stones is another popular venue, set right in the middle of the strip. It’s known for both its indie and rock vibe and its killer cocktails – consider yourselves warned! For the big parties at Future & Atlantis you’ll need to stump up a £16 entrance fee. But if you just want to stick to the buzzing bars along the strip then most are free. Drinks are cheap here too. Happy hour offers mean that you can get two cocktails for €5 – and happy hour never lasts for just an hour. So you want to know the cheapest beach resort to party in Europe? Enter newcomer on the scene: Sunny Beach in Bulgaria. Bulgaria is still emerging as a holiday destination for the UK, so you won’t find as many bars lining their main strip as you will in Magaluf. There’s plenty enough for some wild nights out though, and bargain cocktails keep them packed to the rafters with fun times and fun people. Sunny Beach’s clubs are also located on the strip. 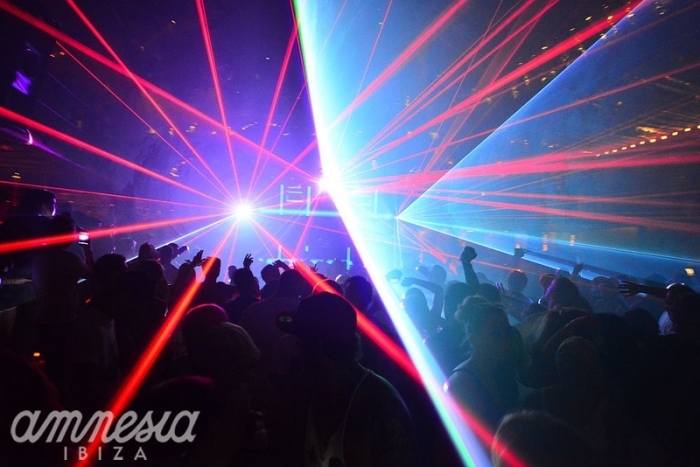 Dance Club Mania is among the largest, and has a 3D lazer system to wow the crowds. Ministry of Sound play at Disco Orange and underground Revolution. Being just outside the euro-zone certainly gives Bulgaria an edge. The average price for a pint of beer in Bulgaria is about 80p. In the bars of Sunny Beach prices will vary – we’ve seen anything from 50p to £2.50. Either way that works out to a decent price for a pint. Plenty of places will sell you two cocktails for £5. £10 is the most you should pay for club entry, and most of the bars along the strip will be free. ← Top Tips for Travel Pics!